Today marks my last “last day of classes,” or LDOC, at UNC Chapel Hill. Over the past four years here, I’ve pretty much kept my head in the books and slaved away in the library. But now with two week left before graduation, I’m going to try and do some fun things before I head off in to the scary place that is the real world. Here are five things that every college senior should do before graduation. 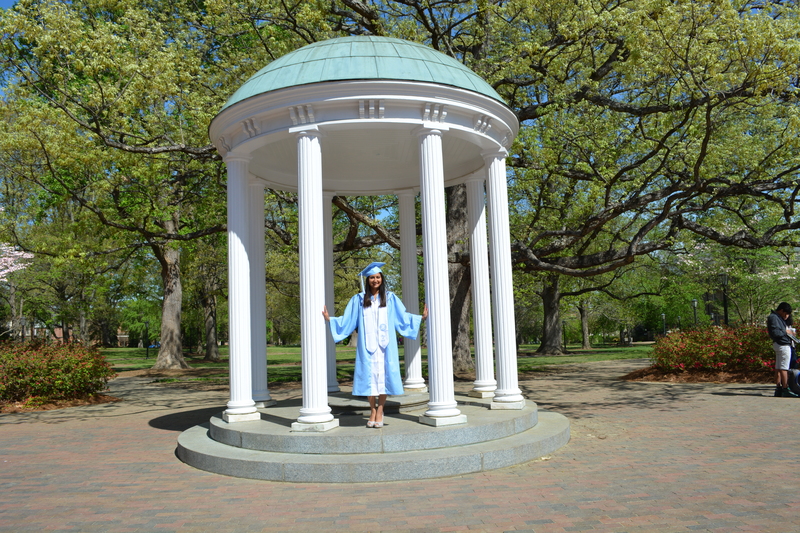 Here at UNC, we have the “Old Well.” Everyone talks about how that is one of the key spots on campus. At the beginning of each semester, students line up to take a sip from the fountain before classes start (the rumor is that if you do, you can get a 4.0 GPA. I was too lazy to see if this was true). So find your “Old Well” on campus and take a few photos with friends or in your cap and gown so you too can have those happy memories. Am I Carolina enough yet? I’ve been trying to schedule final dinners and meet ups with my friends before graduation because honestly, who knows when you will see them again? These can be the people who have been with you since day one, or the person you met this semester in one of your classes. Either way, cherish those last moments together and create some new memories to take along with you to where ever you go. When you start filling out those job or graduate school applications, a lot of them want letters of recommendation. And who better to get one from than a professor that you have enjoyed learning from and one that actually knows your name? Go up to them and thank them for everything they have done for you and let them know that you appreciate their class. You never know who could write you an amazing letter and get you your dream job! College is all about having fun and living your life. So why not have one last crazy adventure with your closest friends? Plan a day to do everything and anything, whether it be having a Netflix binge session or going to a mystery castle that has a “no girls allowed rule” (Anna, I’m looking at you for this one!) Because once you enter the real world, you won’t have time to run off and have these small trips, so take advantage of them now. Make some lasting memories! What if you don’t know what you are doing after graduation? What if you don’t know what you want to do at all? Don’t stress out because you are not alone. It might seem hard to do, but if you realize that everyone is feeling the same and will be facing most of the same problems, then you have nothing to worry about. Take the time right after graduation to wind down and look at all your options. You will find something. Everyone does. What are you doing before graduation? Let me know in the comments so I can try them out! 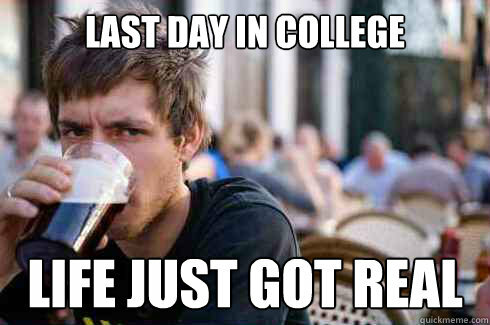 Two more weeks until the real world!